Den Bolda is a graduate of Butler University and North Dakota State University. 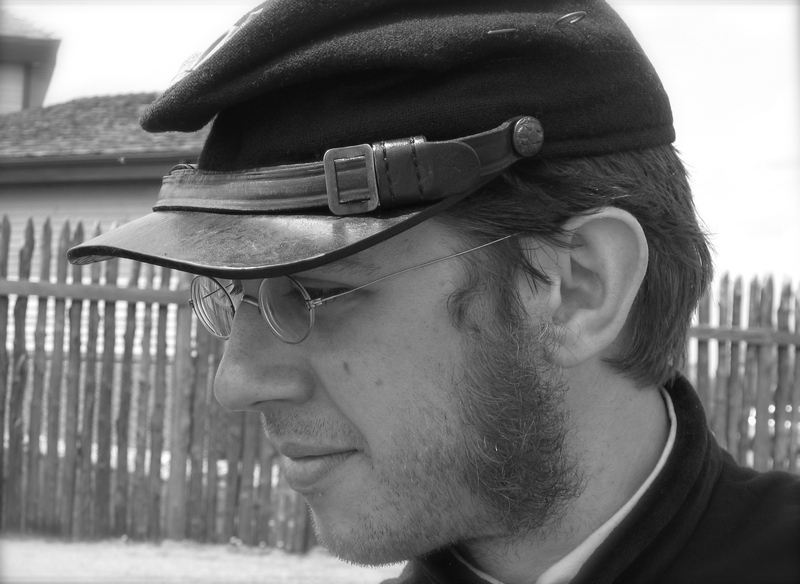 He became a reenactor through his Boy Scout membership in 1994. Since then he has reenacted many time periods including Roman, French and Indian War, American Revolutionary War, American Civil War, and World War Two. Originally from the suburbs then inner-city Chicago, Den moved to North Dakota in 2008. Since then he has continued to work in the field of education. Most of Den’s research focuses on material culture. Because he enjoys sewing authentic Civil War era uniforms and clothing, he is always researching information to that end. A recent research trip involved the sesquicentennial Shiloh, TN reenactment and the Steamboat Arabia Museum. Other areas of interest include religious studies and the middle east.